It's the time of year where '#HolidaysAreComing' and Christmas ads start to appear on our TV screens. 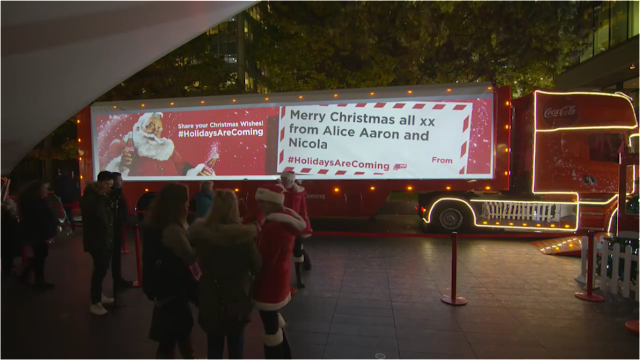 In the UK we have had many of the Christmas ad campaigns start already, but there is one that lots of people wait for with anticipation - the Coca-Cola Christmas truck! 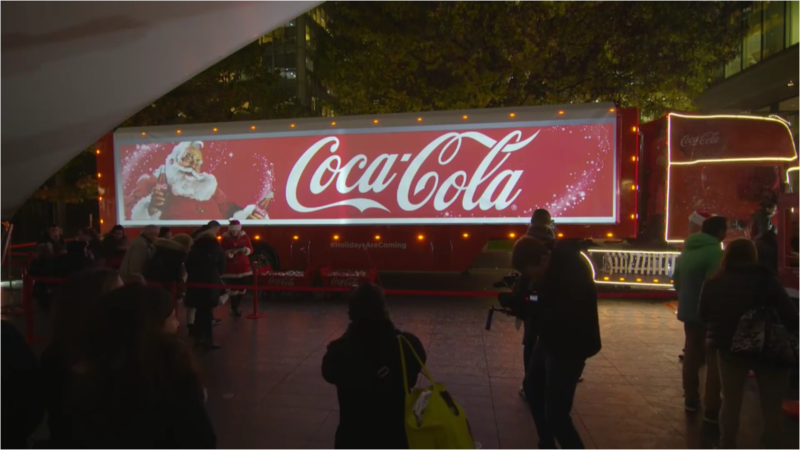 This year the Coca-Cola Christmas Truck 'Holidays Are Coming' TV ad will appear on UK screens tonight and this is being brought to life in a number of ways for 2016. 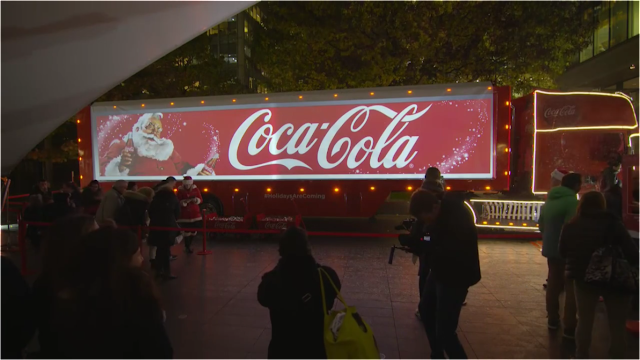 There is a #HolidaysAreComing Coca-Cola Christmas Truck emoji on Twitter if you use the #HolidaysAreComing hashtag. This week I also saw a big (and fun) in-store replica of the Coca-Cola Christmas truck in my local Tesco store (I would have taken photos but it had kids playing inside and around it at the time...) and in addition, the Coca-Cola Christmas Truck is undertaking the 'Christmas Truck Tour' which will see the Coca-Cola Christmas truck visit a range of cities across the UK as we approach Christmas. 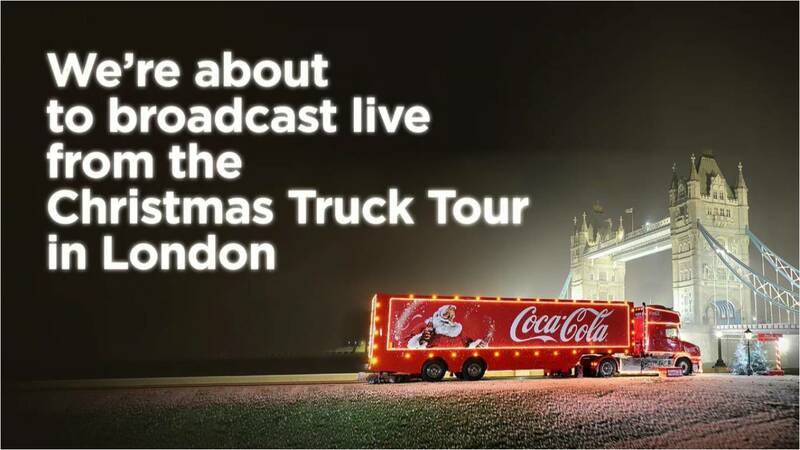 The Coca-Cola Christmas Truck tour kicked off on Thursday night in London and the first Truck Tour stop was live streamed through Facebook Live to the Coca-Cola UK Facebook Page! Viewers could see the Coca-Cola Christmas Truck Live on the Coke Facebook Page in the UK and could watch the large Coca-Cola Christmas projection on the side of the truck, whilst those who attended in person were given a free Coke. 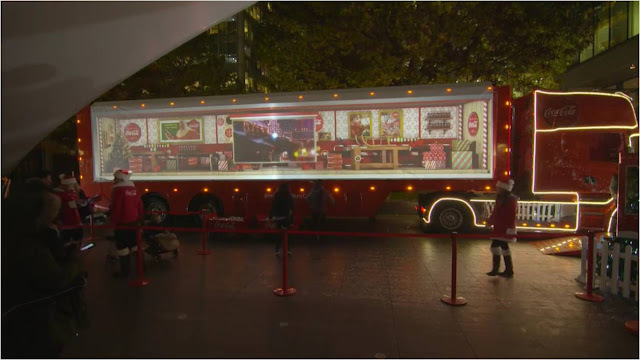 This was a fun way of bringing the Coca-Cola Christmas Truck Tour to life for both those who could attend the Truck Tour stop and those who just wanted to watch through the Facebook Page.